· One Auto Suction Cup + One Tripod Adapter. · One Head Strap Mount. · One Handle Monopod + One Tripod Adapter. · Two Flat Surface Adhesive. · Two Curved Surface Adhesive. 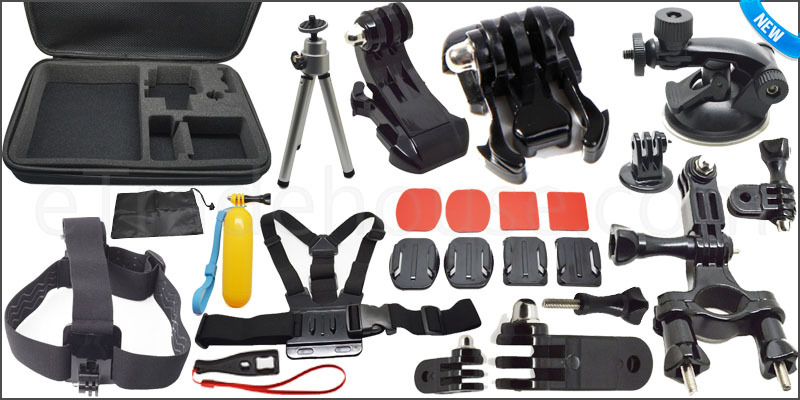 · One Chest Strap Mount. · One J-Hook Buckle Mount.